You are here: Home > Browse > Did She Kill Him? 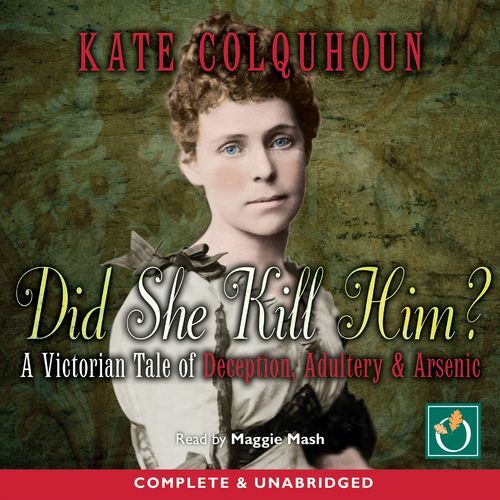 In the summer of 1889, young Southern belle Florence Maybrick stood trial for the alleged arsenic poisoning of her much older husband, Liverpool cotton merchant James Maybrick. The 'Maybrick Mystery' had all the makings of a sensation and cracked the varnish of Victorian respectability. Florence's fate was fiercely debated on the front pages of the newspapers and in parlours and backyards across the country. Historian Kate Colquhoun recounts an utterly absorbing tale that keeps you asking to the very last page, did she kill him? Duration 13 Hrs. 02 Mins.